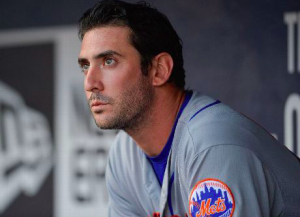 The next time Matt Harvey takes the mound, he’ll do so as a reliever. New York Mets manager Mickey Calloway announced Saturday that Harvey is being moved to the bullpen. With Jason Vargas set to return from the DL within the next week, someone in New York’s rotation had to be the odd man out. On the heels of back-to-back losses, the Mets chose Harvey. Harvey got off to a good start this season. He allowed just one hit in five shutout innings against the Phillies in his season debut. But it’s been all downhill from there. In his three starts since then, Harvey has allowed 14 runs in 16 innings of work. In his most recent start agains the Braves on Thursday, Harvey gave up six runs on eight hits over six innings, forcing the Mets brass to spend two days thinking about how to proceed with him. Calloway says Harvey going to the bullpen is what is best for both the team and the player. He also acknowledged that while he believes Harvey can help the Mets coming out of the bullpen, it’s also likely that he’ll be a starter again some time this season. Despite the demotion to the bullpen, Harvey would likely be the top choice the next time the Mets need another starter. Of course, with former starters like Seth Lugo and Robert Gsellman in the bullpen, that plan could change if Harvey doesn’t take to his new role. However, while Harvey admits to being upset at his move to the bullpen, he appears motivated to work his way back into the rotation.